I'd come out of a long meeting and it was well past lunch time already - that is lunchtime for most people over in these parts anyway, which is usually around 1PM. 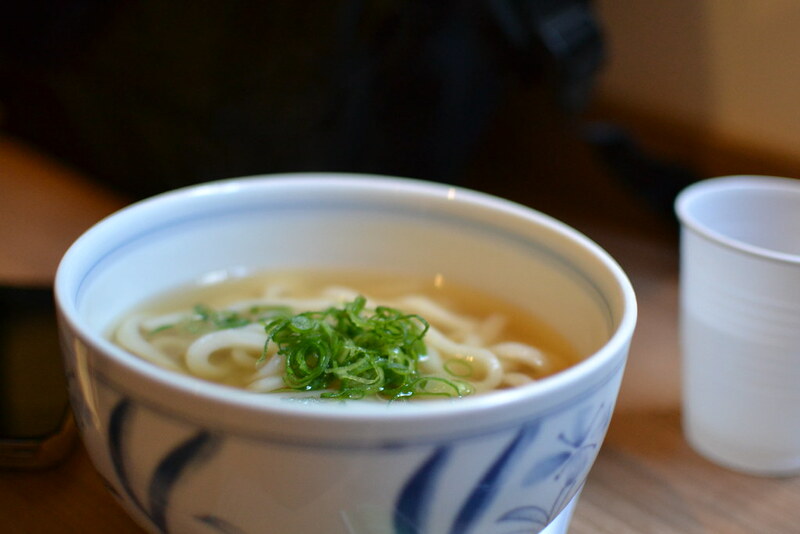 Nothing like a good bowl of warm udon, especially on a fairly cold day such as today - though to be fair it could have been colder! Dragon Boy is a fairly new establishment, but is modeled after restaurants such as Mappen/Oiden and Hana Hana. It's interesting that the spot which Dragon Boy occupies location-wise is smack bang between both other establishments, though you wouldn't be lacking in Japanese food in the CBD. The key point for Dragon Boy is that it's cheap. Restaurants such as Dragon Boy, Mappen/Oiden and Hana Hana sell their dishes at fairly low prices and seem to make their money on their side dishes, though Dragon Boy is unique in that it only serves udon and rice so no soba. A bowl of kake udon at any of these restaurants would hardly break a sweat in your wallet and its filling as well as warm, but it's usually expected for you to pick up a little extra, whether it be a drink from their freezers, a plate of tempura from their available range or one of their little containers of spicy kimchi, edamame, sliced jellyfish or small salads. 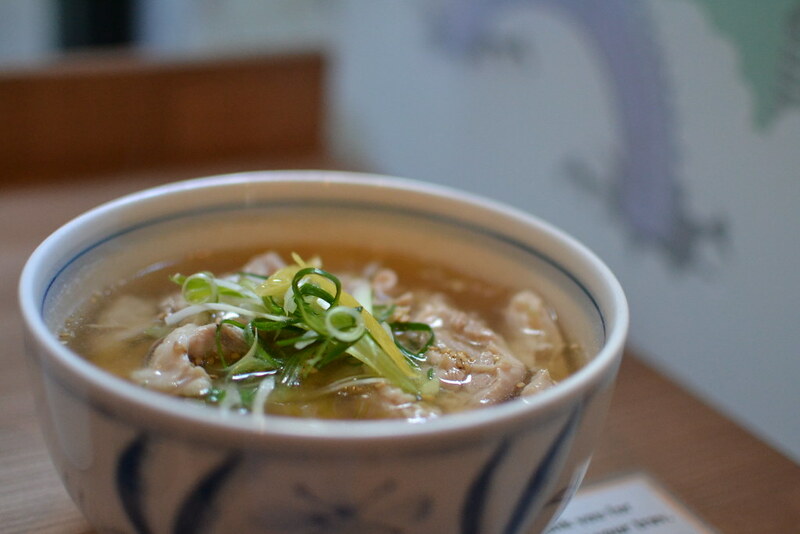 Maybe you would also choose to add a miniature version of one of their main dishes or an ontama in your udon. It all adds up! Still, makes for a cheaper meal than anything in the city as long as you make sure only to get as much as you can eat. Today I bought one of their specials that are for a limited time only and Ruben bought a kake udon since he'd already had lunch. I'd previously tried a special, vegetarian Gomoku udon which seemed to be 5 types of fungus and it was really tasty. Today I bought the Yuzu Chicken Udon which was also really quite tasty although took some time to arrive (I guess if you want your meat cooked well) and the soup was quite a bit spicy. It was also sweet and tangy and the chicken was tender. I would recommend it if it sticks around, though I don't know how long these specials last. 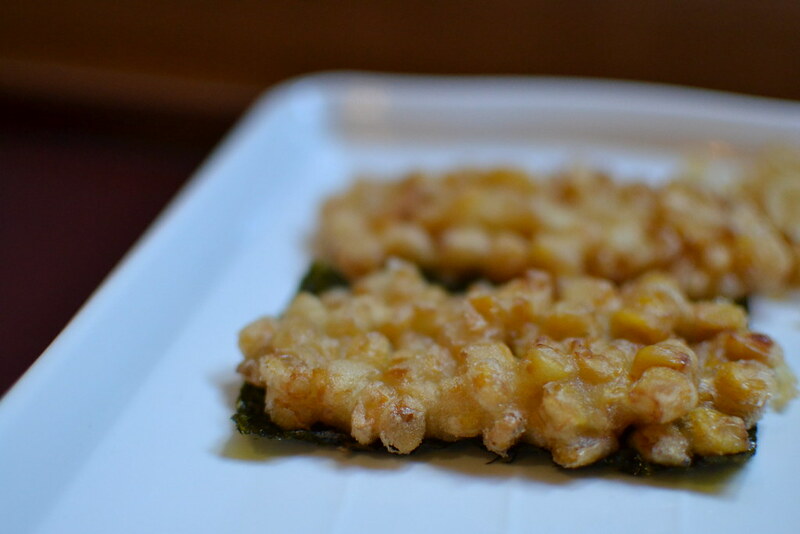 The sweet corn tempura was also a treat, but I love corn so I could be a bit biased. You can see both pictures at the top of this post. The payment at Dragon Kid is quite a bit more confusing than the other restaurants however as there will sometimes only be one person working behind the counter who will both serve our dishes but also collect the money... which gets confusing when you want to get side-dishes and have to rush to grab them before he calculates the final cost!